The Mormon Young Single Adult (YSA) Blog Spot: The Parable of the Feast! The Parable of the Feast! *This parable was not of my own thinking, perhaps one day you will hear one of my parables, but today is not that day. 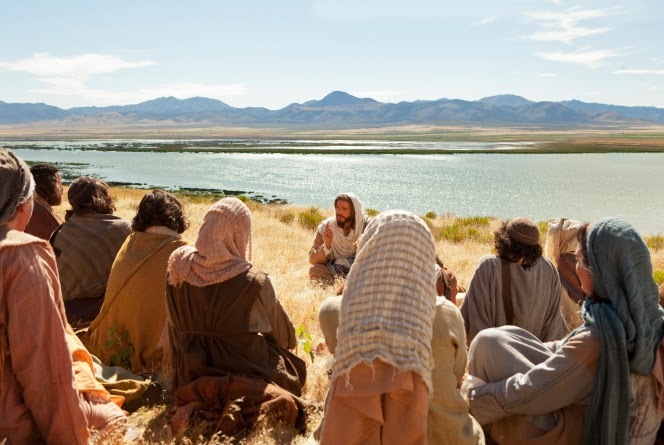 I'm trying to teach as Christ did. Hey Reader, so not a lot of time today and I felt guilty for being late twice so I wanted to leave you with a quick parable that a member once told me that I thought was funny, clever, and well... Just read it. A certain man traveled far and fasted for many days and many nights in a far away land to better serve the Lord. At the end of his mighty fast, he found himself famished, and he, being in the wilderness, headed back to his home. Along the way and being close to home, he met with a certain woman and he being hungered, asked the woman of her bread and water. She gave him of her own and the man, being filled, went along his way. As he arrived to his home, the man discovered the town had prepared a great feast for him in his honor, but he, being filled of bread and water, could not partake. "You're gonna make me do this biblically aren't you...?" Please...? "Sigh... What meaneth these things which you speak...?" Well, my beloved reader, it means to never settle with what first comes our way, especially if it's not as good as we would like it. In life, we will have to wait for many a day and night and we will be eager to partake of the first thing that comes our way. But, we being faithful, have much better things waiting for us than a simple meal of bread and water. If we do what is right, and wait the full amount of time, we will find that our feast will be waiting for us where we are supposed to be. Happy 4th of July Week!!! Transfer News and Some Fun in the Sun!